Blue Eye's tiny "Stealth" receiver can be hidden in the most convenient place. 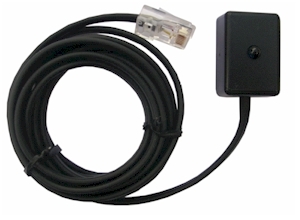 It can be used in single room applications using the Power Injector and an Active Flasher Module or Mini Blaster IR Flood (flasher) or can also be used in multi room applications where up to 5 Stealth Receivers can be joined to the Distribution Hub using CAT5/6 cable extensions. 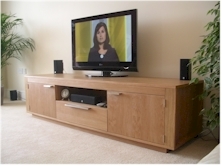 Optimised for Sky & Sky hd - Plasma, LCD & LED Screen Friendly. Please contact us if you require channel B option. Comes in blister pack. The Active Flasher Module can be used in single room applications using the Power Injector and a Stealth Receiver. 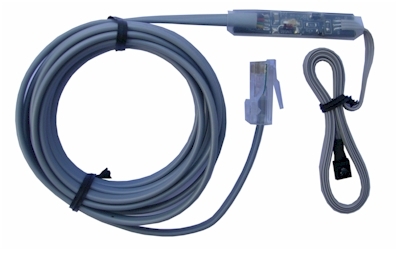 The Active Flasher Module can also be used in multi room applications where it can be joined to the Distribution Hub using CAT5/6 cable. 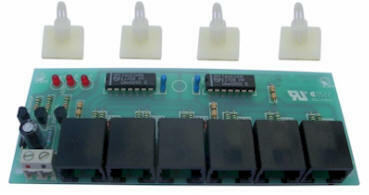 Active IR Flasher Modules also available with 3 or 6 flashers for control of multiple components. Optimised for Sky & Sky hd - Plasma, LCD & LED Screen Friendly. Comes in blister pack. The "Mini Blaster" acts as a IR remote signal 'flood' and can operate a number of audio visual components. The IR Blaster is positioned set back from the components to give a wide IR flood. The flood signal can also be reflected off the back of say, a cupboard door. NOT Optimised for MySky, MySky hdi. Comes in blister pack. The Distribution Hub is used for multi-room IR signal distribution and can be linked with additional hubs to allow even more expansion. All receivers and flashers are connected to the central hub. 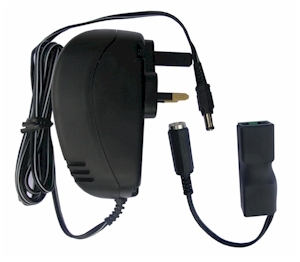 The Distribution Hub requires a 12V power supply. 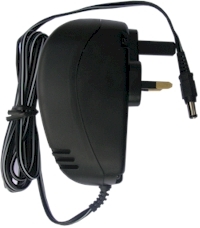 Hub Power Supply (12V regulated) recommended. Comes as shown in circuit board for with stick-on mounts. Hub Power pack is used to supply power to the distribution hub. Power Injector Instructions The Power Injector is used to power small installations where the length of cable of the Stealth Kit is not sufficient. Separate Blue Eye receiver and flasher components would be used with the Power Injector. 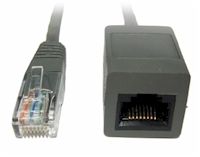 The distance between components and the Power Injector can be lengthened by using CAT5/6 cable extensions (see below). It comes with 2 RJ45 sockets. Receiver is plugged in one end and the flasher/s in the other. 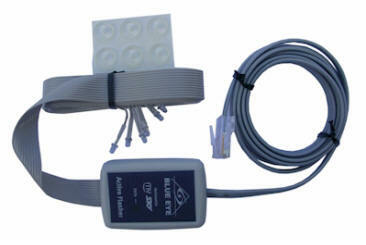 Hassle free way to extend receiver or flasher cables. Use with Power Injector or Distribution Hub systems, cannot be used with Stealth Kit. Mike, London...... "I received the stealth kit 3 days after placing the order and actually thought it was incomplete because it was so small. I am delighted, what a Fantastic piece of kit it is. Installed in 5 minutes and worked perfectly. The Sky+ box, Humax Freesat box and the Blu-ray player all responding instantly. 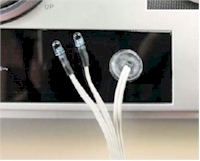 The receiver head is so small it is almost invisible on the front of the TV panel. Thanks again for your help with the decision making its nice to get it in this day of sales push. I had tried other systems linked to the COAX cable without success, lots of interference, didnt work properly so thanks again, brilliant product. I would recommend it to anyone....... Regards Mike." Blue Eye components are compatible with all makes of remote controls including SKY, SKY HD, Virgin + and Playstations. Also see our One For All remote controls.